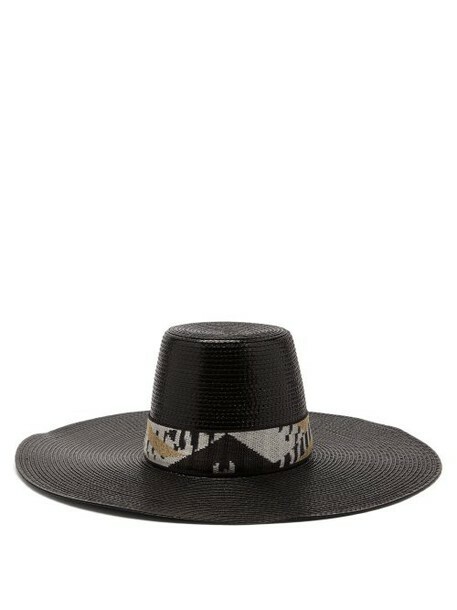 Missoni Mare - Channel Missoni Mare's signature overt glamour with this black wide-brim hat. It's crafted in Italy with a striking glossy finish in a straw-effect texture and is wrapped with a gold Lurex band in signature lightweight knit. Wear it with one of the label's metallic kaftans for a seamless transition from the beach to sunset strolls.